Das is an anthropologist who worked with communities who had been displaced by Partition in 48 or 49. This is an interesting story. Many women were on the “wrong” side after the Partition had occurred. India and Pakistan made it a part of their national pride and honor to have the women returned to their proper places. This meant that many women on either side who had taken up with men (hindus or muslims) were forced to or “encouraged” to return to their families of origin. The time of the Partition is shrouded in secrecy for families. Women did not talk about what happened to them because of the shame. Das also studies the community of Sikhs that had been terrorized by Hindu mobs after the assassination of Indira Gandhi. I honestly found this very difficult to get through but it's possible that I just don't have the background knowledge in Indian history, philosophy, and anthropological theory to have appreciated/enjoyed it. Das is crafting both and ethnography and rethinking how anthropology is produced. 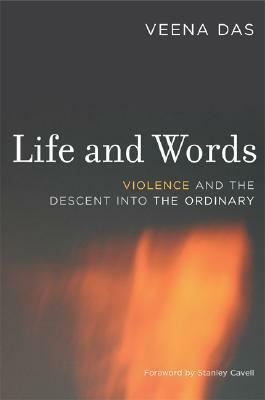 She is considering both physical violence in India from partition to the assassination of Indira Ghandi, but also the violence of studying violence. It requires certain background knowledge of the history of contemporay India in order to get to the author's point although Das did present us the details of the riot of 1984, and other cases.